Where things fail to go according to plan. Now it all started a few years ago when my brother and I started fixing up the 1996 red VW Microbus which we’ve had since 2000. It had two major issues, firstly with the fuel delivery (we ended up having the fuel tank overhauled* and replacing the fuel pump) and secondly with the battery draining (turned out to be the P.A. system my father had fitted, I tossed it). Then I replaced the distributor hall sender, fitted new rear brakes and shocks, had the aircon re-gassed, fitted new side mirrors, replaced the auxiliary coolant pump which some fool had removed along with the relay for it, messed around with the immobiliser a bit, got a quote for removing the rust and respraying… just the normal maintenance type things which had been neglected for a while. 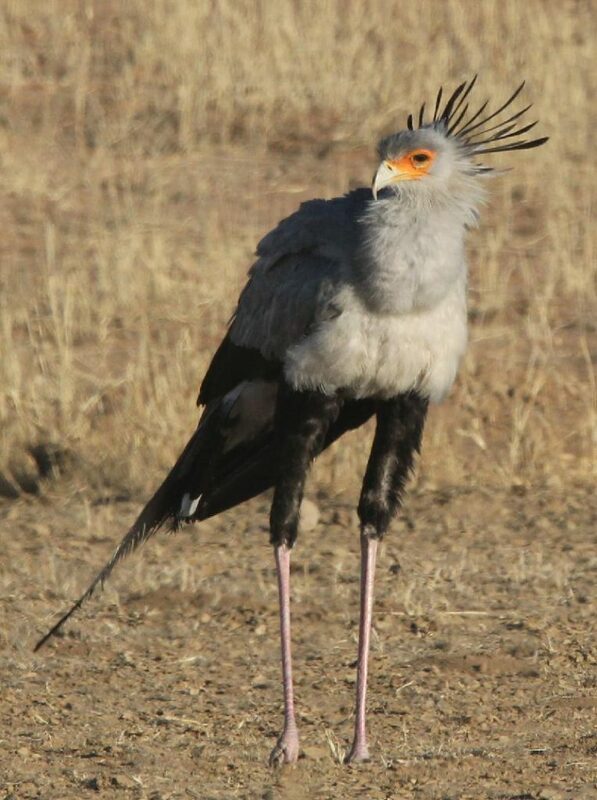 Tanya and I wanted to go the Kgalagadi (remember the Kgalagadi? 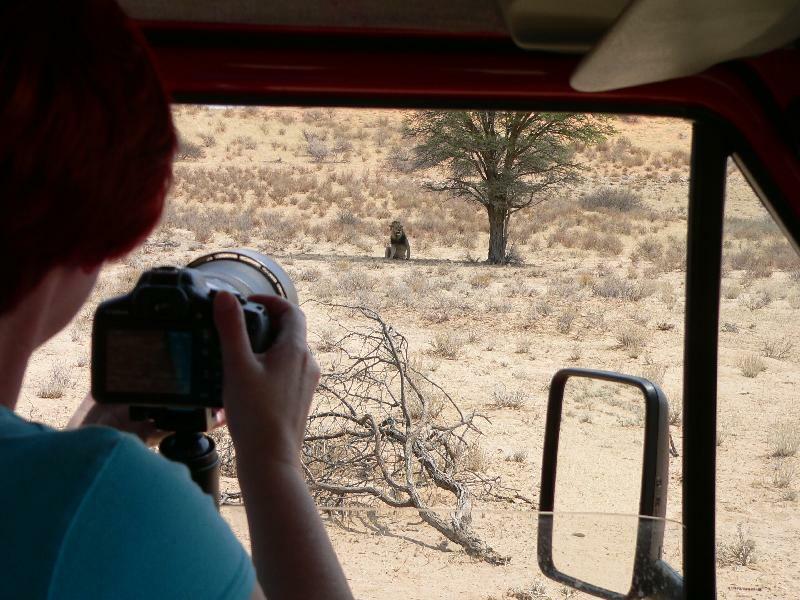 This is a story about the Kgalagadi) because we’ve been to Kruger a number of times and Kgalagadi has meerkat. And lions and leopards and cheetahs, hopefully. I figured the Kombi is a good choice for this because sitting high up gives you a longer view over the veld. 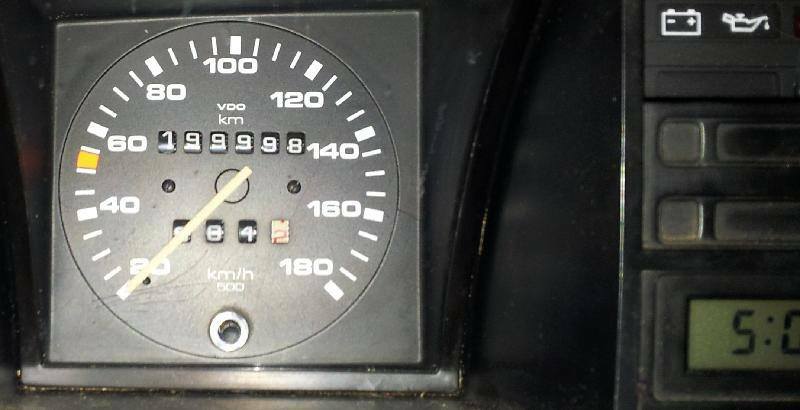 Of course, a 2200 km round trip in a 20 year old bus with 200000 km on the clock is not particularly sane. But then, who wants to be known for their sanity? So off we went, 05:30-ish on the 23rd of September, Arlo Guthrie on the hifi (coincidence — I dumped a lot of albums on a stick and it plays ’em alphabetically). Oh, that aircon I had re-gassed? Stopped working pretty much as we left home. Feh. Tanya took the opportunity to get in the back and scrap. 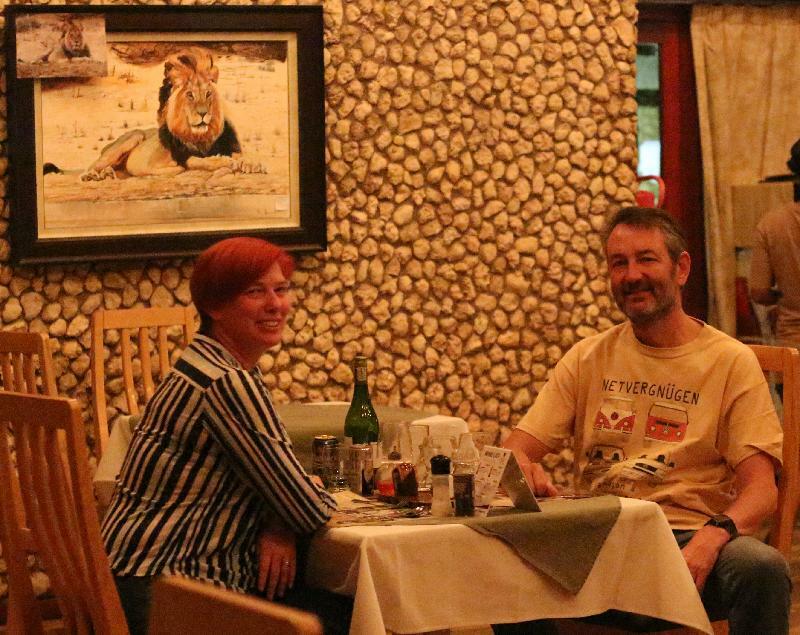 We stayed over in Upington at A Chateau de Lux which we can really recommend. Much attention to details, sweets on the pillows and chocolates and biscuits and bath salts ready in the bath… te lekker. Can’t comment on breakfast ’cause we were in too much of a hurry to be off. 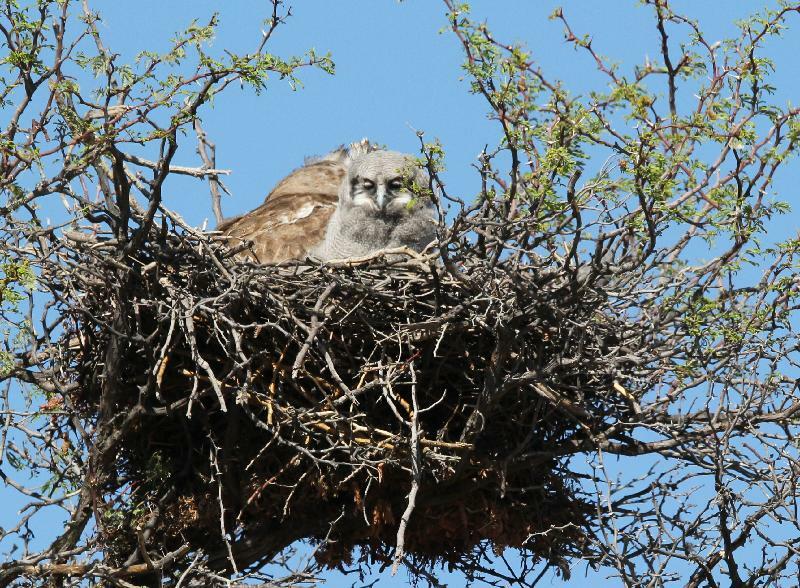 250 km from Upington to Twee Rivieren. 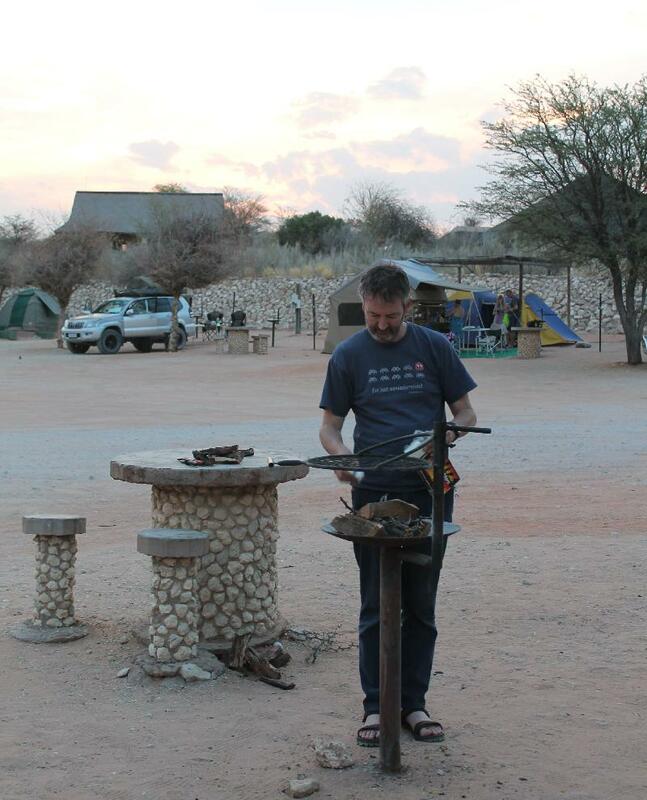 Got there, booked in, friendly people, pitched camp, let some air out the tires and off into the Kgalagadi we went. Yes, there was a chain across the road. OK, OK, I’ll stop with the Alice’s Restaurant Red VW Microbus references now. Now at this stage, there was only one of two things we could do (oops. Sorry). Take the road to the left, towards Mata-Mata, or take the road to the right, towards Nossob. We chose the Nossob road. Got as far as Kij-Kij (only about 40km from Twee Rivieren, but that’s about two hours’ drive. 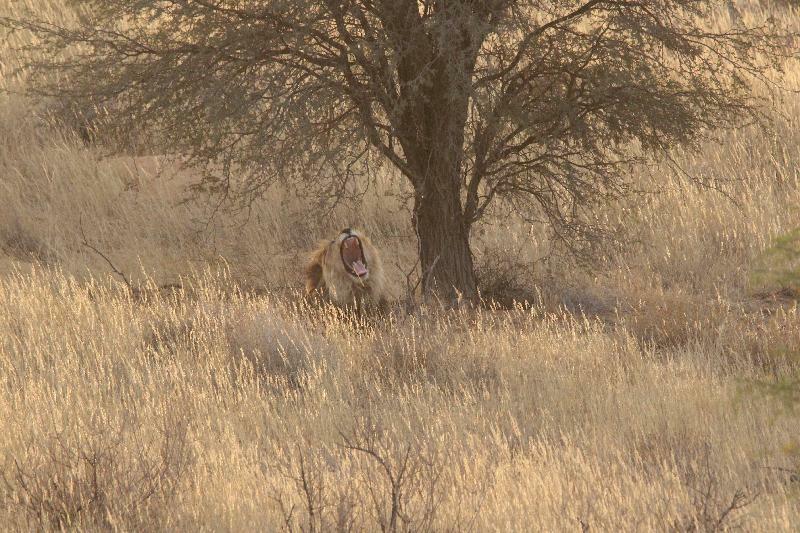 Distances in the Kgalagadi are insane) where we found a lion under a tree. Next to a sign saying “You are not allowed to leave your vehicle at this view point”. Yup. Gotcha. Wasn’t planning on doing that, no. 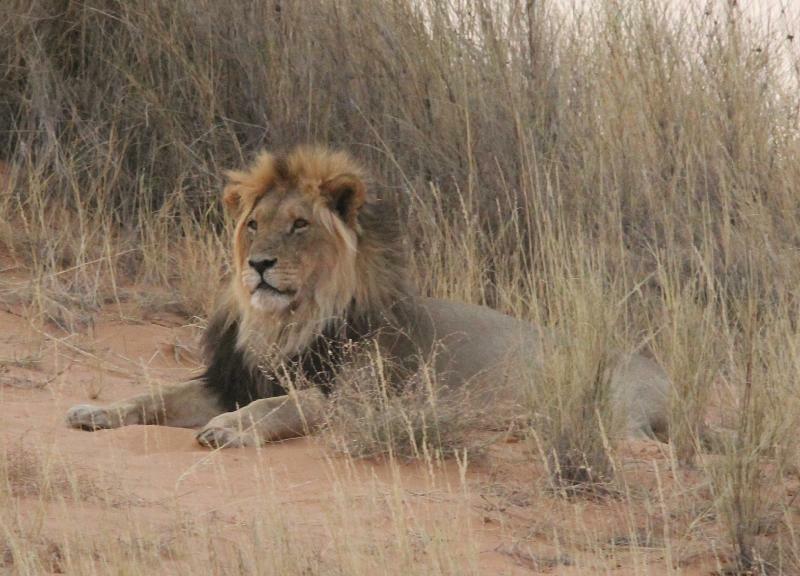 Kalahari lions have black manes. From Kij-Kij we took the dune road to Auchterlonie. It’s boring. Nothing moves. The two river beds are much more interesting. Stopped at Auchterlonie for a body break, and turned back towards Twee Rivieren. 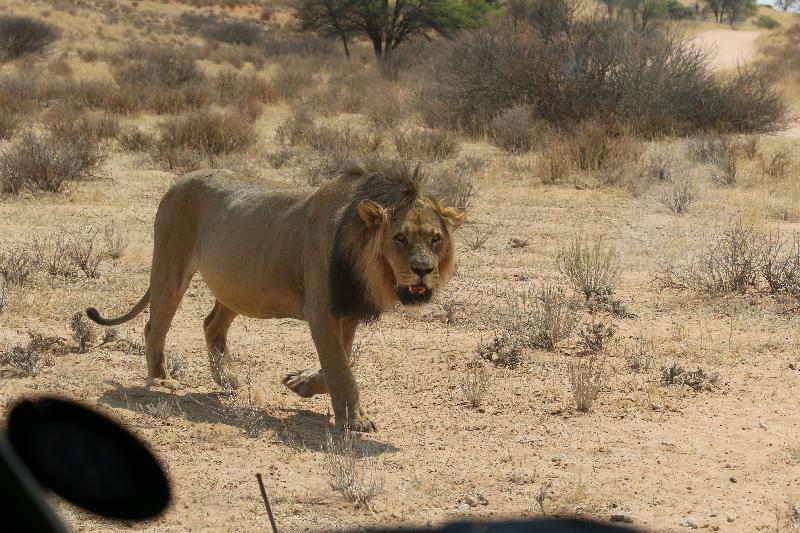 Now this was Sunday, and Sunday was forecas t to be the hottest day of our week in the Kgalagadi, and yes, it was hot. Got up to 48-ish inside the cab. So we’re fahrvergnügening over the dunes and *bang*. Hmmm, that’s not good. Check the rear-view mirror, that looks like water on the road behind us. Scheisse. I figured it’s a radiator hose that popped, tell the first car passing us to tell the staff back at Twee Rivieren to come fetch us. Nope, sez the omie, he’ll tow us. With a Fortuner. The humanity. Back at camp I investigated and no, it wasn’t a radiator hose, it was the coolant bottle. So we started a braai. 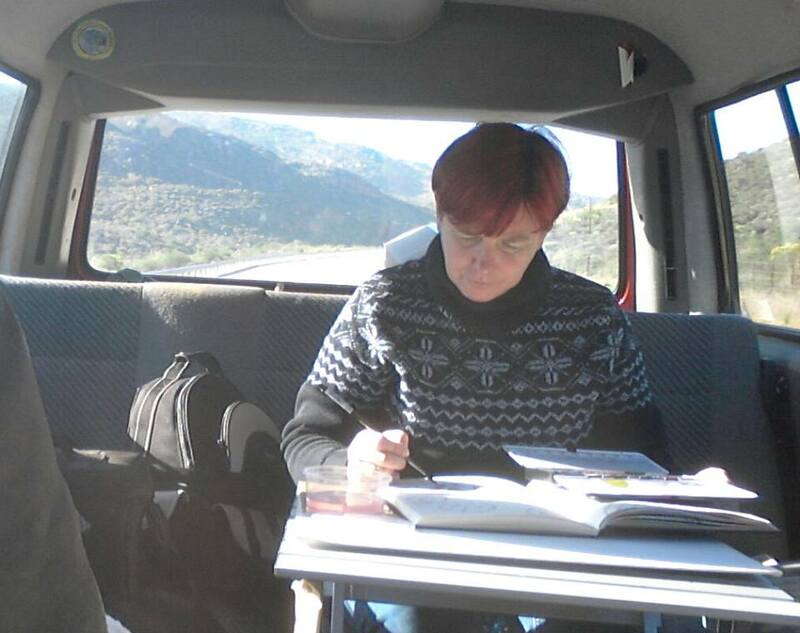 And worked on Plan B, being, get to Upington, hire a car, get a new water bottle, fix kombi. With complications, because the next day was a public holiday. I got up early, toodled on down to the gate, asked about organising a lift with some staff maybe going to Upington. Nope, nothing like that, you’ll have to hitch a ride. So I stopped the first car out the gate, being Ditmar and his wife whose name I didn’t catch from Cape Town, they gave me a lift to the airport. Much appreciated. Got a car, flogged it† back to Twee Rivieren, and off we went for more sightseeing. 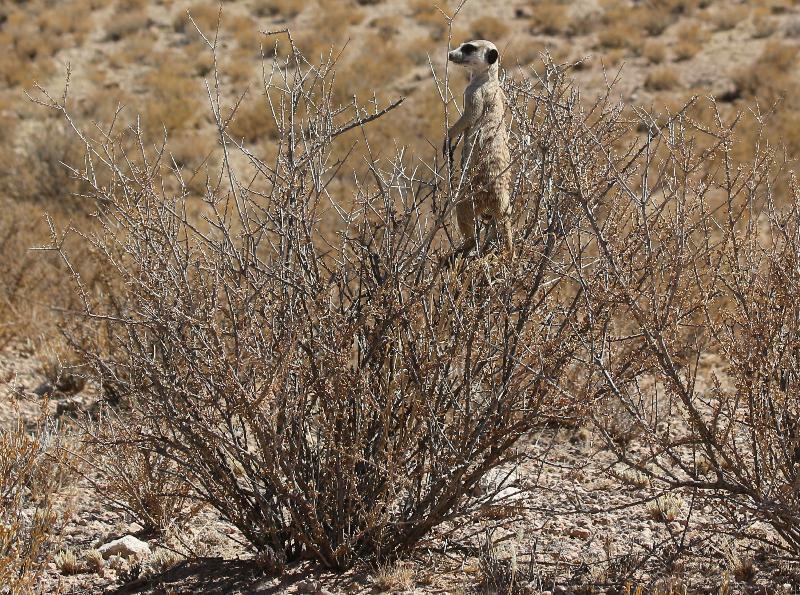 Took the Mata-Mata road this time, found the meerkats Tanya was looking for. They like being high up, so they can see further. 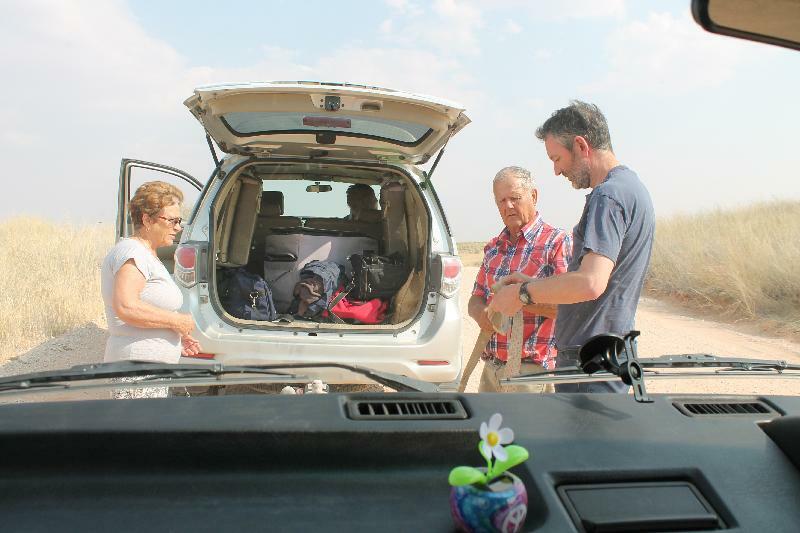 A car stopped and told us there was a cheetah with kill under a tree, so off we went to find it. 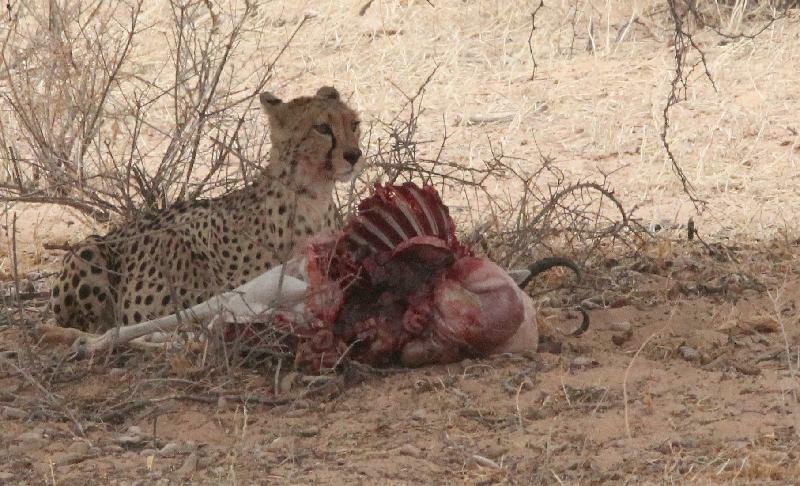 The cheetah had brought down a springbok ram and was nomming down under a tree on the other side of the river bed. Good thing Tanya has a long lens. 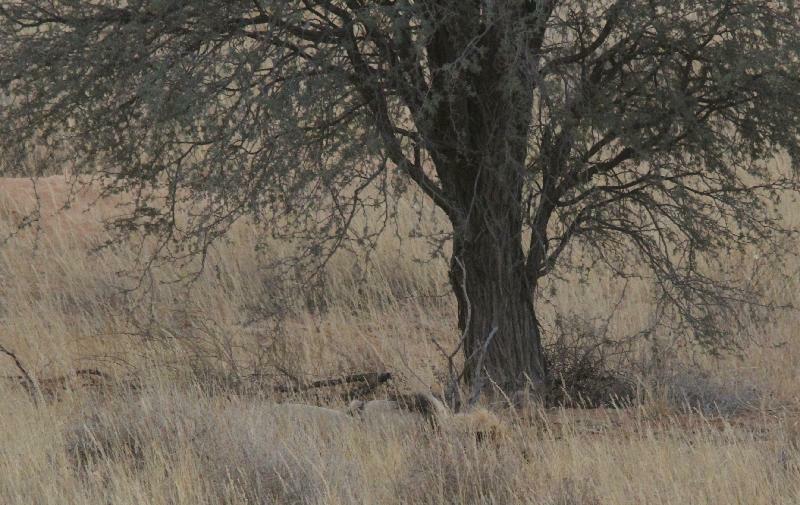 We’d also heard there was a leopard in a tree further up the road, so we left the cheetah, tried to find the leopard. 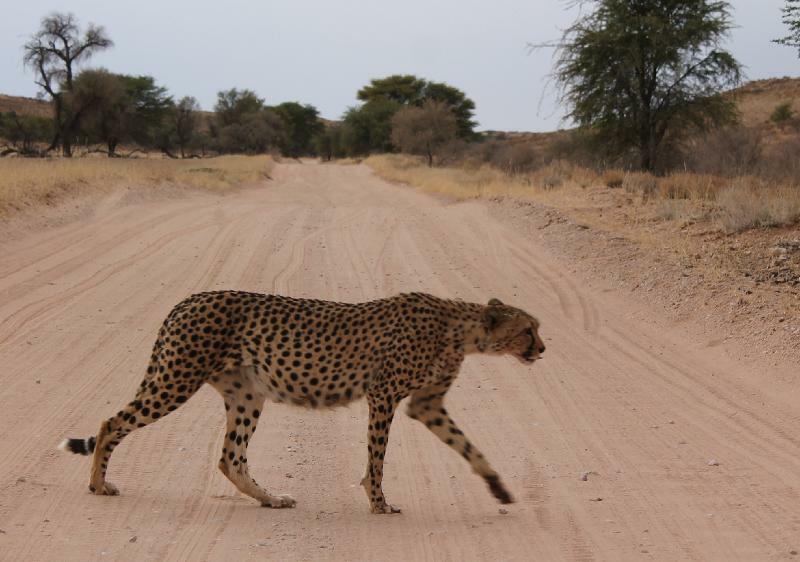 Found some people who claimed they could see the leopard lying behind something, we saw squat (of course, if we had the kombi it might have been easier) so went back to the cheetah who was just leaving her meal to the jackals and moving off, fortunately towards the road. We think this is Hanri, a six year old female, but I am new to this, feel free to correct me. 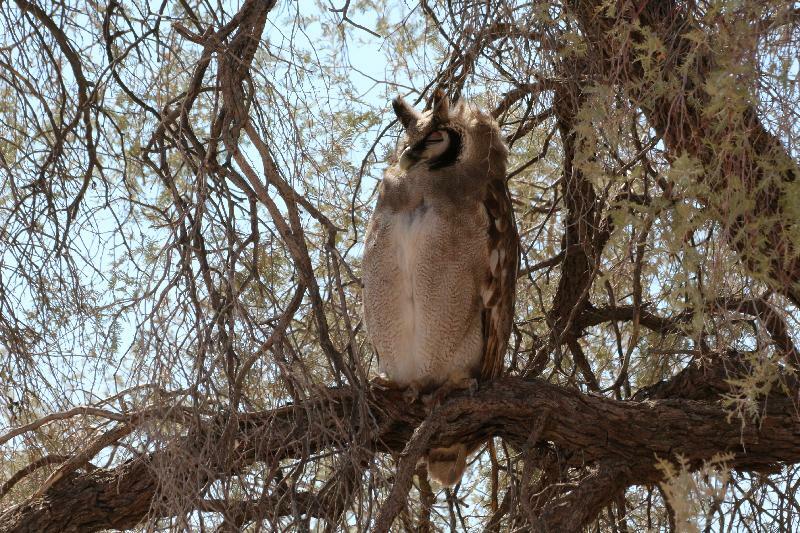 This owl has a nest and a large chick opposite the road from the Monro water hole. We stopped there a number of times. Plan B still required that I go to Upington again (to get a new water bottle on a day that the shops are actually open), but we started Tuesday by going out early to see what we could find. 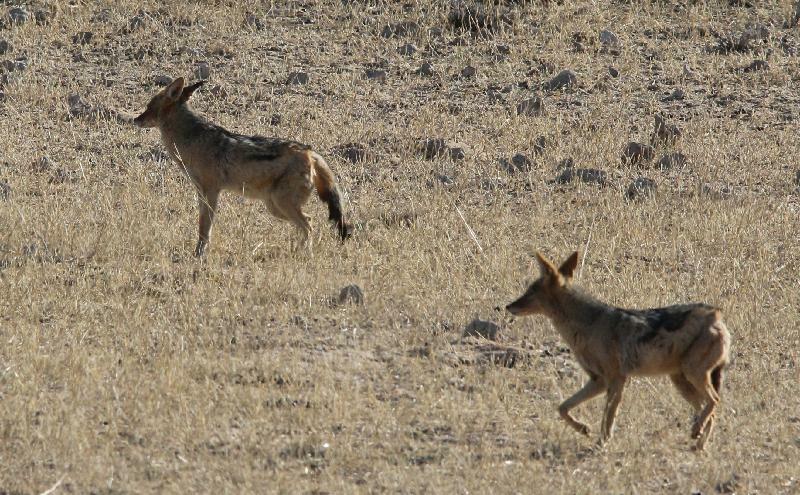 Found two jackals close to where we’d seen the cheetah, they were fast asleep. 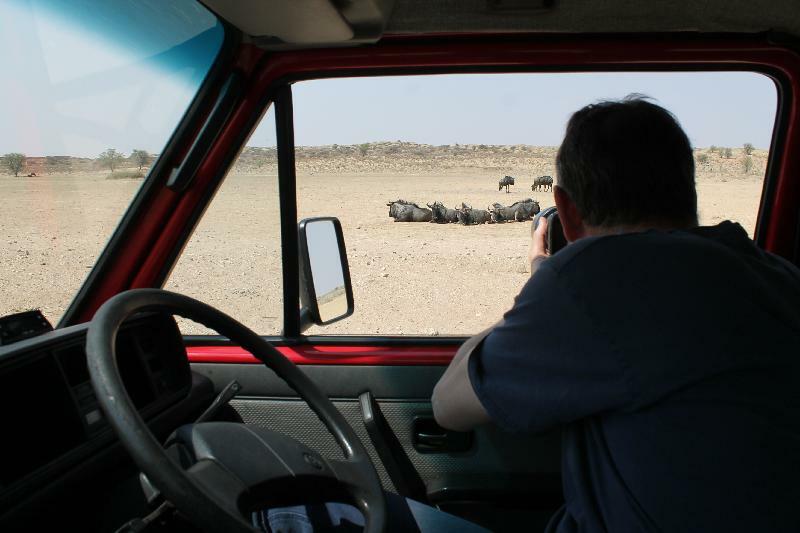 We stuck around until they got up but they didn’t feel like doing much — I suspect they finished off the cheetah’s springbok pretty much on their own, and were still stuffed to the gills (we ended up seeing lots of jackals). Got back to camp around 10 (after which not much moves until late afternoon anyway) and then I mercilessly flogged the Polo the 250km to Upington, found a new water bottle at Goldwagen, got a lead on a towing company (Plan C), and mercilessly flogged the Polo the 250km back to Twee Rivieren (and of course we eventually had to get the Polo back to Upington again. It came with 1000 free kilometers. So much for that. We ended up putting around 1800km on it). Got back close to five, and of course out we went again. 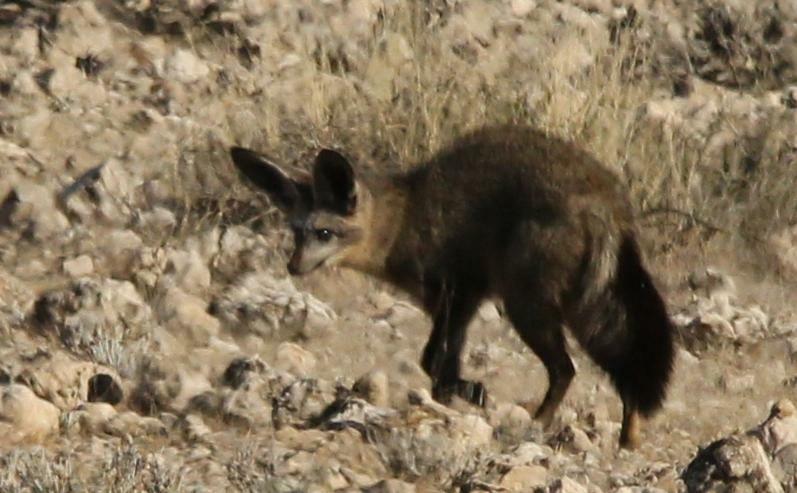 We were watching jackals come and go at Kij-Kij when I looked the other way (always look the other way) and spotted two bat eared foxes quite far away. Cute little buggers. … and proceeded to chase him off. So back to Plan B. I fitted the new water bottle, added water, and… water poured out of the side of the cylinder head flange. I suspect this is where I lost the water in the first place, leading to the destruction of the bottle. Time for Plan C? I got a beer and thought about it. Coincidence #1. I’d packed the toolkit I normally have in the Golf at the last moment, mostly for the shifter. But it includes four small sockets, and the largest socket fitted the bolts on the flange. So I could remove the flange. Coincidence #2. Our old mattress had leaked and I tried a new O ring on the valve. Didn’t work, and I tossed the mattress, but I still had spare O rings in the kombi. And they turned out to be the exact diameter. Coincidence #3. I’d also packed a tube of gasket maker. Which means I could apply a temporary fix. 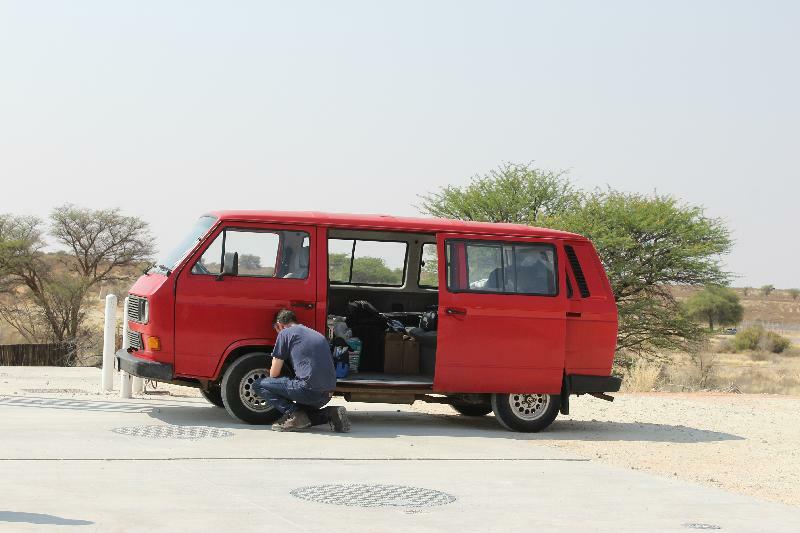 Which I did — not that I trusted the fix enough to take the kombi back into the Kgalagadi, we ended up using the Polo for the rest of the week — but (spoiler alert) it did end up getting us home with no further issues. 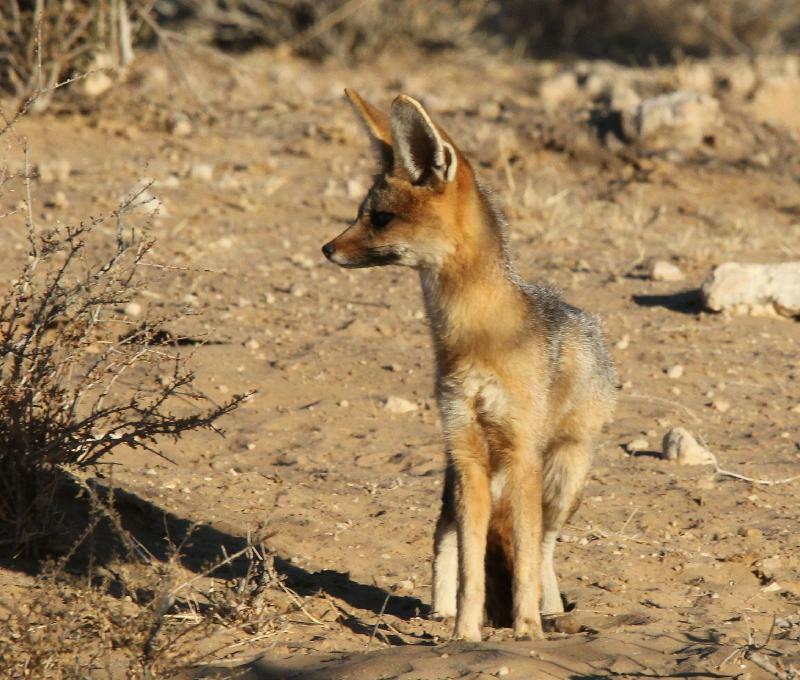 We spotted two cape foxes with cubs, but they were extremely far away. 500m or more. This picture is at the limit of Tanya’s 600mm lens. 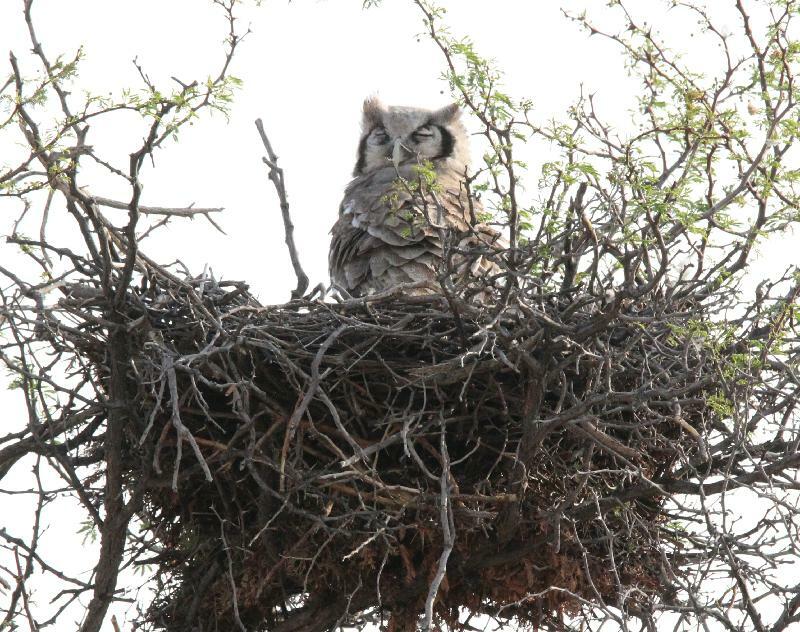 This owl had a nest just outside the camp gate. We stopped there often. We saw many more animals. Gemsbok, springbok, red hartbeest, giraffe — those are pretty much guaranteed. Lots of Kori bustards (they’re scarce in Kruger). Ground squirrels everywhere. Slender and yellow mongoose. But… no cats. 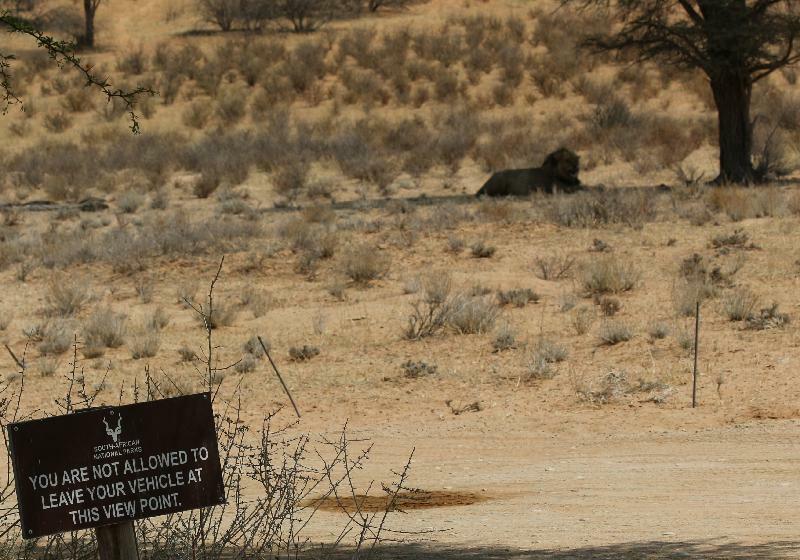 Well, OK, we did see two lions silhouetted against a ridge far off, but they don’t count in our books. 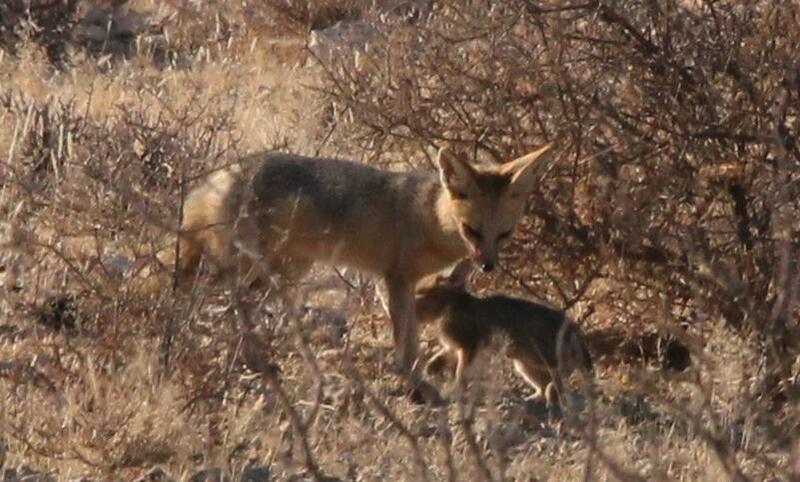 So right at the end of our last day in the Kgalagadi we decided to go out one last time. Looked at the sightings board, saw that some people has seen lion(s?) around Rooiputs. So that’s where we went. Didn’t see much, except there was a guy parked next to the road, we asked him what he had. Turns out there was a lion under a tree, but the only reason he knew it was that “it had been there all day”. Couldn’t see much of it, would not have spotted it on our own. Whaddayamean can’t see it? He’s right there! (The tree’s about 100m from the road). So we waited for him to wake up. The next morning the kombi didn’t want to start. I spent an hour fiddling with the wiring, I think it was a bad connection to the MAP sensor since that’s the last thing I touched. For the rest the drive back was uneventful. Stopped at Goldwagen again, bought a new Topran 107613755 (Goldwagen part number A1300) as well as the two O-rings for the temperature sensors (Goldwagen part number 1821). After that I was not concerned, because if my temporary fix failed, I could fix it properly. Of course my temporary fix held. Got home not that long after nine the evening. 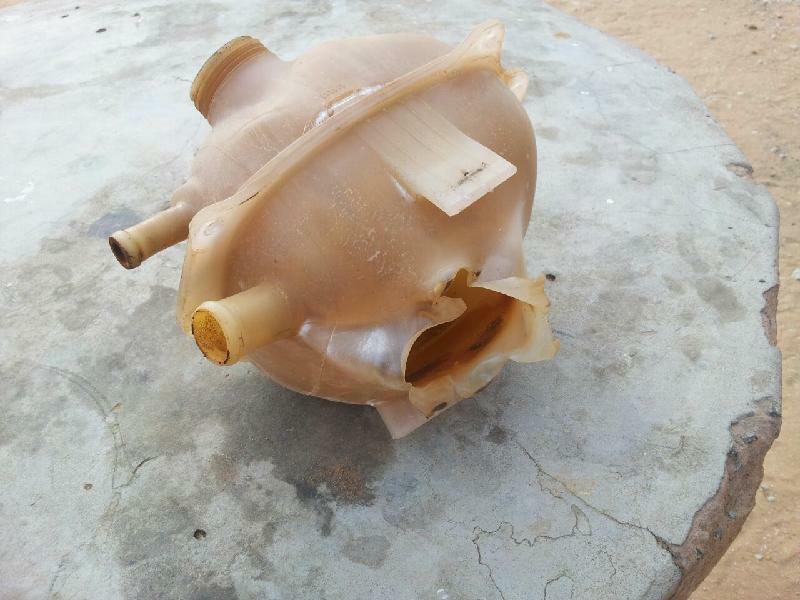 * Don’t overhaul your kombi fuel tank. Buy a new one. It’s cheaper. † A 1400 VW Polo Vivo. They make damn good cars these days. The Polo Vivo is an entry level car, but it goes like the clappers, handles well — got a bit squirrely at 165 km/h (!) — and is light on fuel. 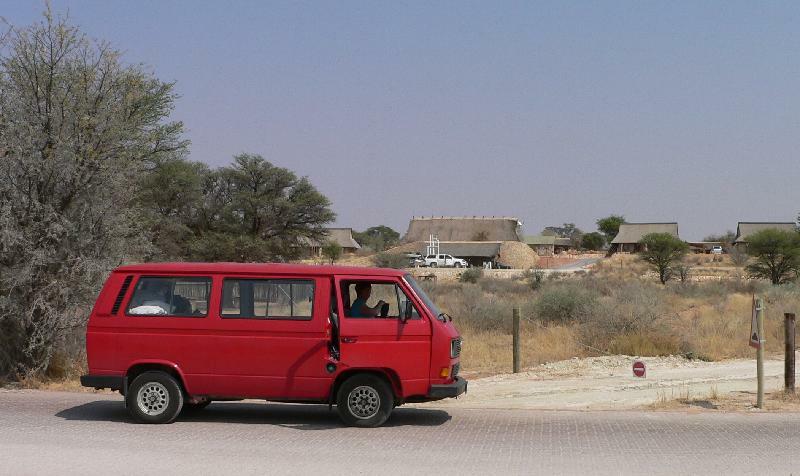 OK, it had some rattles with only 22000km on the clock, but I suspect I was not the first individual to drag this particular vehicle up into the Kgalagadi.